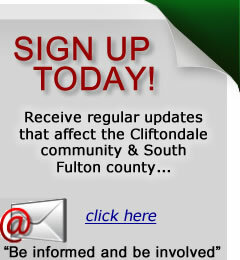 Meeting Information – The Cliftondale Community Club is a non-political, civic organization formed to enrich and encourage development of the Cliftondale community through non-profit service. Our next meeting will be held November 14, 2011. Cliftondale Community Club meetings held the 2nd Monday of every month at 7:00-8:00 p.m. at the Cliftondale Clubhouse, 4645 Butner Road (behind the tennis courts). This entry was posted on September 25, 2011 at 11:56 am. You can follow any responses to this entry through the RSS 2.0 feed. Responses are currently closed, but you can trackback from your own site.